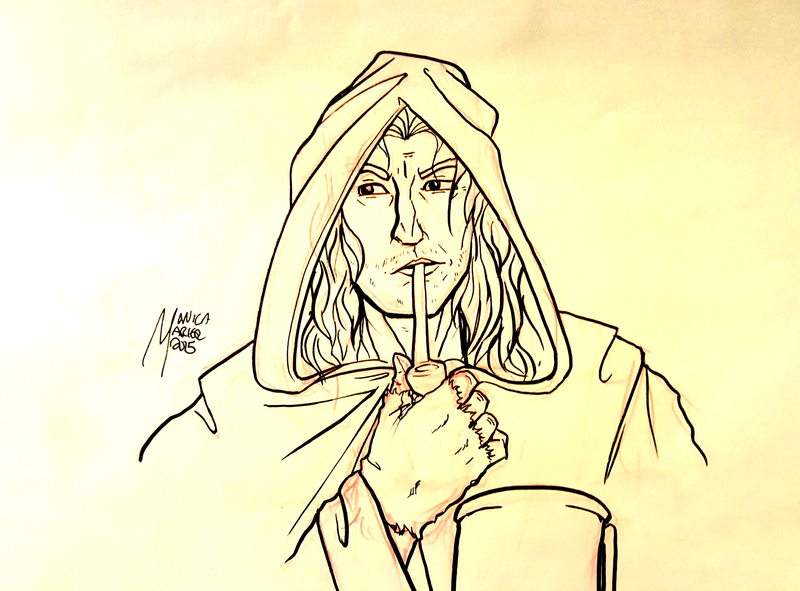 Inktober Day 29 is another in the Lord of the Rings series I’ve been doing: Here’s Aragorn in his “Strider” guise. I left off shading since I wanted to do that with colour. I was also trying to avoid it being too Viggo, so it’s a cross between him and my childhood image of Aragorn (Michael Praed).